Sunday night at the Ohio State University marked Jake Tapper’s debut with the Democrats. He moderated the town hall alongside former CNN contributor Roland Martin. 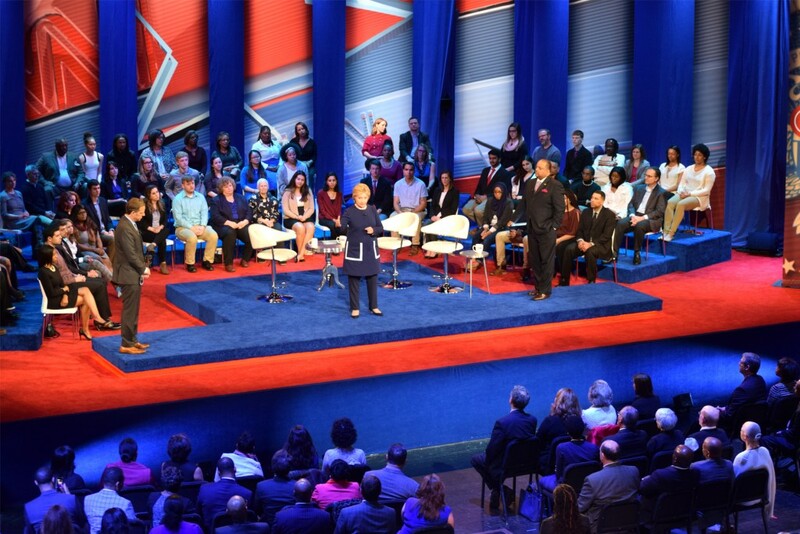 2.8 million total viewers watched the CNN/TV One Democratic Town Hall (8-10pm) live from Columbus, Ohio according to Nielsen Fast National data. Among the key 25-54 demographic, 865k watched. The Town Hall ranked as the third highest on record in cable news in both total viewers and among adults 25-54. In total viewers, CNN averaged 2.656 million and 811k among adults 25-54. TV One delivered an additional 164k in total viewers and 54k among adults 25-54.